Zantedeschia (aka Calla Lilly, Arum was named as a tribute to the Italian botanist Giovanni Zantedeschi by Kurt Sprengel, a German botanist. Native from Southern Africa, the Zantedeschia grows up to 2.5 tall and has leaves up to 45cm long. They are fairly easy to cultivate and comes in a variety of colours. 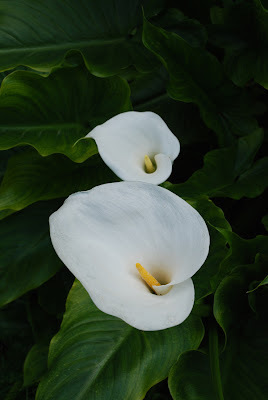 The Zantedeschia is very very toxic and it can kill a child or animal if they eat it.